Over 600 people attempting to cross the Central Mediterranean have drowned or are presumed drowned in the last 4 weeks alone including babies and toddlers. 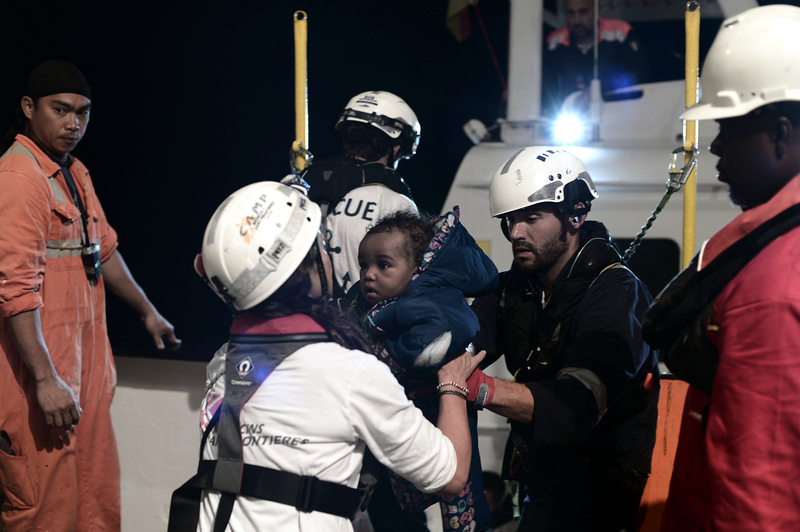 These tragedies, which represent half of the total deaths so far in 2018, took place as there were no longer non-governmental organisation (NGO) rescue boats active on the Central Mediterranean. 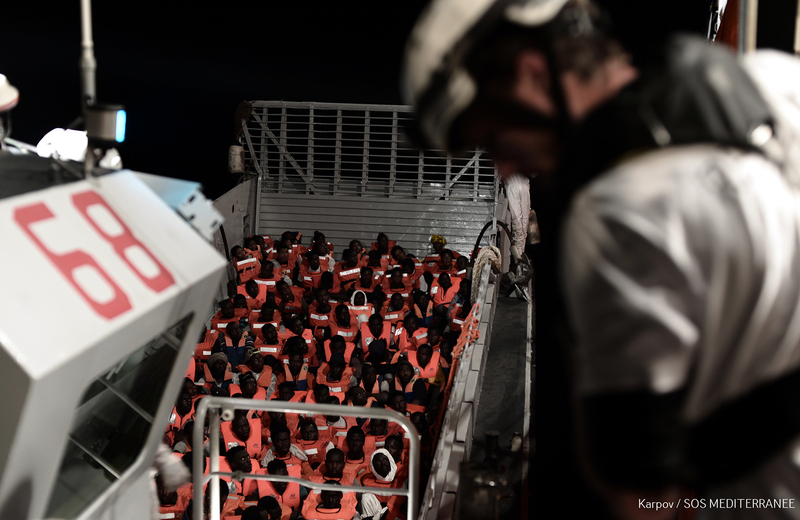 One month ago, the search and rescue ship Aquarius, run by SOS MEDITERRANEE in partnership with Médecins Sans Frontières (MSF), was blocked by Italian authorities from disembarking 630 people rescued at sea. Further blockages and obstruction of NGO rescue ships by European states followed. “The European political decisions that have been taken during the past weeks have had deadly consequences. There has been a cold-blooded decision to leave men, women and children to drown in the Mediterranean Sea. This is outrageous and unacceptable” said Karline Kleijer, MSF head of emergencies. “Rather than deliberately obstructing the provision of life-saving medical and humanitarian assistance to people in distress at sea, European Governments must set up proactive and dedicated search and rescue capacity in the Central Mediterranean”. While NGO rescue ships operating in the international waters between Malta, Italy and Libya have been accused of being a pull factor by European politicians, recent events at sea show that desperate people continue to flee Libya regardless of whether or not there are rescue ships. Violence, poverty and conflict are pushing people to risk their lives and those of their children. European Governments are fully aware of the alarming levels of violence and exploitation suffered by refugees, asylum-seekers and migrants in Libya but are determined to prevent people from reaching Europe at all costs. A key part of the strategy to seal off the Mediterranean is equipping, training and supporting the Libyan Coast Guard to intercept people at sea and return them to Libya. Returning people to Libya is something non-Libyan ships cannot lawfully do as the country is not recognised as a place of safety. People rescued in the international waters of Mediterranean must not be returned to Libya but should be taken to a safe port in line with international and maritime law. Furthermore, the EU-supported Libyan Coastguard have intercepted around 10,000 people so far this year and brought them to detention centres in Libya, regardless of the consequences on people’s well-being and lives. Abdicating all responsibilities for search and rescue in the Mediterranean to the Libyan Coastguard will only result in more deaths. As the peak season for attempted crossings approaches, saving lives must be the urgent priority. Unscrupulous smugglers, with little regard for human life, continue to put people in harm’s way using flimsy and unseaworthy vessels. There needs to be a sufficiently resourced and fully operational system for saving human lives in the Mediterranean Sea. For as long as this is not in place, NGO rescue ships have a vital role to play to render assistance to those in distress at sea and prevent needless loss of life. They should be free to use the nearest safe ports for rescue operations including disembarkations and re-stocking of vessels. “The political decision to close ports to disembarkations of people rescued at sea, and the total confusion in the Central Mediterranean, has led to an increased mortality on the world’s deadliest sea crossing” said Sophie Beau, vice-President of SOS MEDITERRANEE. “Europe bears the responsibility of these deaths on its conscience. European governments must react immediately and guarantee that the international maritime and humanitarian laws framing the obligation to rescue people in distress at sea are fully respected”.